Team - Livemedia - Livestreaming and archiving, broadcasting on demand, conferences, congresses, events, courses, webinars, reportage and news. Livemedia web channel. Founder, main shareholder and CEO of INVENTICS S.A. He studied Mechanical Engineering at the Aristotle University of Thessaloniki with postgraduate studies in Management Science and Operational Research from Warwick Business School, UK and holds a Ph.D. degree in Economics. He is the CEO Of Inventics S.A. from 2000, with experience in organizing conferences and live events online. Irene Syraki began her partnership with Livemedia Web Tv with the goal to get even closer to people and actions that take place in Greece and abroad. Her aspirations are the impartial research and publisizing of important facts from all over the world with the help of Livemedia's experienced team. With a bachelor degree in economics and MSc in Informatics and Management she became an active member of Livemedia's projects. He studied Business Administration at ICBS College. After 17 years in the stock exchange market he became a part of the Livemedia team in 2015 as an account manager. Giorgos has studied interior design & applied arts. Since 2001 working as a decorator, 3D designer, set designer and Art director. In 2011 joined the team and is involved in the production of events and promotion of Livemedia services. A partner located in Athens, with an Msc Digital Media Production from Oxford Brookes University, has many years of research and application and can orchestrate even the most demanding projects. After many years of friction in sales and communication marketing, (since 2009) Yannis unfolds his talent as a libero in the "Livemedia Team". Sales, customer support, project management, photography and live broadcasts are some of the daily tasks. Studied Computing at the Metropolitan College of Thessaloniki with specialty in Android Application Development. 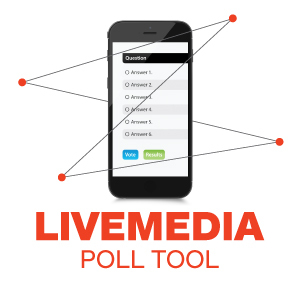 Is a member of Livemedia' s team since 2011. He has studied editing and is on the first line for the live streaming and webcasts. Pantelis Tzerzevelis was born and raised in Thessaloniki in 1966. It didn't take him long to come in contact with adventure and nature. His restless spirit led him to engage in Sports. He is then enchanted by the world of cycling and takes part in cycling races with PAOK. He begins to professionally work in Photography. He has written extensively about the adventure and the beauties of Greece, while he continues his intense presence in radios. The award-winning journalist continues to express his love of sports and the outdoors through his Livemedia lens and his fancy pen, keeping the lovers of the genre informed. Hionia is a graduate of the Department of Greek Culture of the Open University and the Department of Journalism of Xinis Group. She has collaborated with the newspapers "MACEDONIA" and "Angelioforos", as well as with cultural magazines and radio stations. She has participated in documentary productions and book editing. Hionia also works in organising conferences and cultural events and actions of the European Union. Since 2016 she has been working with LIVEMEDIA on webtv productions and events. She is married to journalist and writer Kostas Bliatka and has a son, Dimitris. With a bachelor degree in Broadcast Journalism and Msc in Contemporary Media, George Fotelis made his first professional steps as a journalist at the WEB TV of the Athenian- Macedonian News Agency. Soon enough the wider spectrum of communication fascinated him and in 2016 he became member of Media and Communication department of AEK Athens F.C. Bringing people together is his everyday motive and believes in human interaction, that is why from 2018 is a team member of Livemedia! Livemedia's partner in London, he has spent many years behind the camera for the Greek TV in England and now organises the livestreaming and webcasts abroad. With his many years of experience in audiovisual services, Thodoris Amvrosiadis became a member of Livemedia and assists with his know how in techinal support and behind the camera. With studies in journalism, he worked for local media in Greece before making the decision to move to London. Over the past six years, he has covered several major events in the British capital mainly for electronic media. He joined the Livemedia team in 2018. He has received a diploma degree in piano and theoretical studies. He completed his studies in music technology and computer application. After a short term in the audiovisual services he realized that livestreaming is the future in learning and continuing education. He is a part of the Livemedia Crew since 2015. With many years of experience in sales and the internet market she is a pillar of Livemedia. Holds a Master in Information Systems (MSc) and a Physics Degree. Has many years of experience in Computer Systems and Embedded Systems Programming. Studied Computer & Communications at TEI of Serres. After many years of experience in IT companies, Savvas took over the management of information systems, and technical customer support. Ria completed her studies in the field of Accounting and Finance at ICBS College. She has extensive experience in financial public limited companies (SA) and since 2000 is the head of the accounting department.